While range fires can be chaotic and deadly, most of the impact comes after the flames and smoke have ended. Replacing lost forage (as well as future grazing) will be a challenge. But recently burned pastures will come back stronger if livestock are not re-stocked too early. Post-fire, the period of recovery on rangelands is determined by moisture, past grazing management, recovery period, and severity of erosion post-fire. Burned plants will need abundant moisture to recover. Stocking rates will be still likely be depressed for the first few years following the rest period. Below is a chart outlining possible years of post-fire rest for two common shortgrass soil types. Each pasture is unique, and should be determined on a case-by-case basis. With few exceptions, your range plants are still alive and will come back. Think of your forage community as a boxer healing between fights. Management objectives should focus on retaining and improving existing plants, restoring soil cover and water capture, and allowing for recovery of the forage community to support livestock production again. WASHINGTON, March 22, 2017 – Today, the U.S. Department of Agriculture’s (USDA) Food Safety and Inspection Service (FSIS) announced additional steps to keep the food supply safe for American families in light of the recent investigations of Brazil’s meat industry. While none of the slaughter or processing facilities implicated in the Brazilian scandal have shipped meat products to the United States, FSIS immediately instituted additional pathogen testing of all shipments of raw beef and ready-to-eat products from Brazil upon hearing reports of the Brazilian investigation. FSIS has also increased its examination of all these products at ports-of-entry across the country. The agency will indefinitely maintain its 100% re-inspection and pathogen testing of all lots of FSIS-regulated products imported from Brazil. KANSAS CITY, Mo. (March 21, 2017) – The Burnett family, owners of Burnett Enterprises in Carpenter, Wyo., has been named among the 2017 Members of Distinction by Dairy Farmers of America. WASHINGTON, D.C. – As Congress begins its deliberations on the next farm bill, improvements to the dairy Margin Protection Program must be a top priority for lawmakers, said Jim Mulhern, president and CEO of the National Milk Producers Federation, who spoke today before the House Agriculture Committee. During the farm bill hearing on Capitol Hill, Mulhern told committee members that the dairy Margin Protection Program (MPP) is failing to live up to its intended role as a viable economic safety net for farmers, and that a series of changes is needed to restore dairy producers’ confidence in the program. Mulhern’s full testimony can be found here. WASHINGTON – The Trump Administration this week released a list of 24 trade practices, including Country-of-Origin Labeling (COOL), that trade negotiators should prioritize in future negotiations. National Farmers Union (NFU) is urging the administration to keep COOL on the list, and to ensure a reinstatement of COOL would be allowable under any renegotiation of the North American Free Trade Agreement (NAFTA). Dallas, Texas (AgPR) March 22, 2017 — American Agri-Women (AAW) is heartbroken by the vast devastation from the recent wildfires in Texas, Oklahoma, Kansas and Colorado. AAW has an affiliate in each of these states. AAW will have a wildfire relief fundraiser at its Mid-Year meeting in Dallas, Texas from March 23-26. The funds raised will be divided between the four funds listed here. 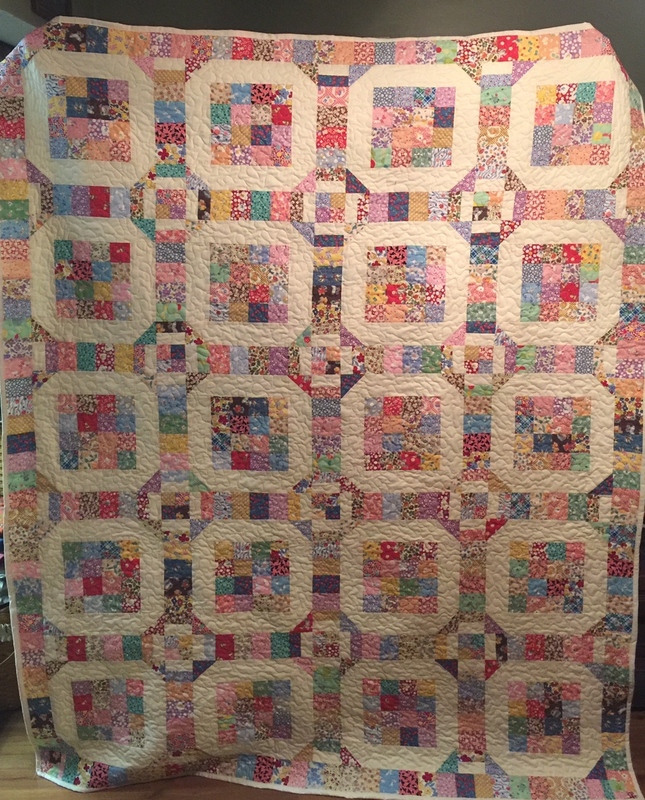 There will be a “pass the hat” conducted as well as a silent auction of some donated items that include a quilt made from 1930’s reproduction fabrics. There will also be a genomic testing package in the silent auction for the relief efforts. AAW will accept email or phone bids. Please email communiciations@americanagriwomen.org for the phone number. The silent auction closes at noon central time on March 25, 2017. Donated quilt to be sold with proceeds going to wildfire relief. The quilt measures 66″ by 82″ and is made from 1930’s reproduction fabrics. Denton, Texas — The recent wildfires in Oklahoma, Texas and Colorado have caused considerable financial loss and the devastation of livestock, homes and equipment. The Red Angus Foundation Inc. is rising to the occasion to accept and distribute donations that will assist our fellow friends, neighbors and cattlemen in their recovery efforts. RMFU Membership Coordinator Aubriel Jones is part of a relief committee working for people who have been affected by the Northeast Colorado fire. The committee is made up of volunteers that work cooperatively to meet the ongoing individual and community needs stemming from the fire, as well as gathering all incident-related information and locating all available resources for those in need. If you are interested in donating anything to help those who have been affected by the fire, please call Jones at 308.778.6535 or email aubriel.jones@rmfu.org. She will answer any questions you have about donating as well as connecting you with other groups who are working on this project. Look for forums in late April or early May at which we will provide information on topics such as cover crops, soil health, grazing, conservation, and other areas of interest. U.S. Senator Michael Bennet is partnering with local producers and agricultural organizations to hold listening sessions across the state in advance of his work on the next Farm Bill. Bennet, a member of the Senate Committee on Agriculture, Nutrition, and Forestry, held similar staff-led meetings with farmers and ranchers that informed his work on the 2014 Farm Bill. The 2014 Farm Bill provided new resources to rural communities, cut red tape by streamlining dozens of programs, and reduced the deficit. The bill also included important provisions to improve forest health, reduce the risk of wildfires, and strengthen conservation programs. DES MOINES – March 22, 2017 – With Mexico’s hunger for U.S. pork continuing to grow, members of the National Pork Board spent March 13-18 in Mexico City building trade relations. The delegation invested its time immersing itself in Mexico, which is one of America’s most important export markets. During the visit, the group emphasized the safety and reliability of the U.S. pork supply. The delegation received a warm welcome and were encouraged and enthused about the future of trade with Mexico. Within the next five years, economists predict Mexico may become the largest market for all U.S. goods, surpassing both Canada and the European Union. During the week, board members saw firsthand the market opportunity and benefit of expanding trade with Mexico. The key objectives of the trip were to discuss and define areas of mutual interest, to extend appreciation to Mexico’s trade industry for the high volume of U.S. pork purchased and to emphasize the reliability and availability of U.S. pork and the next steps needed to support expanding trade. In 2016, Mexico was again the No. 1 importer of U.S. pork in terms of volume. Mexico imported more than 730,000 metric tons of U.S. pork last year. In terms of value, Mexico was again No. 2 at $1.4 billion. In January 2017, which is the most recent data available, Mexico became No. 1 in both volume and value. The U.S. accounts for more than 90 percent of the total pork imported to Mexico. Washington, D.C. (March 22, 2017) – The American Coalition for Ethanol (ACE) and over 70 of its grassroots members are in Washington, D.C. as part of the organization’s 9th annual fly-in today and tomorrow. Former U.S. Trade Representative Michael Froman speaking in Tokyo this week said the Trans-Pacific Partnership can still serve as a guide for future trade agreements. The Nikkei (Nee-kay) Asian Review reports Froman told a symposium this week: “It’s possible that the U.S., among other countries, will look to what we agreed to in the TPP as they negotiate or renegotiate other agreements.” President Donald Trump withdrew the United States from the trade pact in January. Froman cited as an example the North American Free Trade Agreement, which Trump has said he would like to renegotiate with partners Canada and Mexico. Froman said a number of members of Congress have talked about adding provisions on labor, the environment, state-owned enterprises and the digital economy, “all of which were part of the TPP.” On the future of the TPP, Froman remained optimistic that the pact will come into effect despite the absence of the U.S. He said it’s possible the other TPP countries will approve the agreement, while potentially adding additional countries to the accord. Democrat David Scott, a U.S. Representative from Atlanta, Georgia, will introduce Sonny Perdue at his Senate Agriculture Committee confirmation hearing Thursday. The Atlanta Journal Constitution newspaper reports that Perdue has tapped Scott, an old friend from when Perdue was a Democrat, to make the introduction before Perdue gives testimony to the Senate panel in hopes of boosting Perdue’s bipartisan credentials. The two served as Democrats together in the Georgia Senate for eight years before Perdue switched to the GOP in 1998. Representative Scott is a senior Democrat on the House Agriculture Committee, and plans to talk about his work with Perdue and what the former Georgia Governors appointment could mean for agriculture. Scott said of Perdue that “he’s the right person at the right time and the right place.” President Donald Trump announced Perdue as his nominee for Agriculture Secretary on January 19th. Depending on the hearing and confirmation process, it may not be until after the Easter Recess of Congress before the full Senate confirms Perdue. The Department of Agriculture designated $6 million to help aid farmers and ranchers recovering from recent wildfires in Kansas, Oklahoma and Texas. The $6 million in available funding, delivered through USDA’s Environmental Quality Incentives Program, will assist farmers and ranchers as they attempt to restore grazing lands, rehabilitate devastated landscapes, rebuild fencing and protect damaged watersheds. Kansas Republican and Senate Agriculture Committee Chairman Pat Roberts in a statement said he was “pleased USDA has acted swiftly to aid producers.” Roberts noted that farms lost not only livestock, grazing lands, and fencing – but in some cases, homes, machinery and equipment, as well. EQIP, administered by USDA’s Natural Resource Conservation Service, is a voluntary conservation program that provides financial and technical assistance to agricultural producers to help plan and implement conservation practices that address local and state resource concerns. States will begin accepting applications in the near future. Producers in the affected counties are encouraged to check with their local NRCS service centers for additional information. A sanitary inspection bribery scheme in Brazil means less options for global buyers of beef. That could mean more opportunity to export U.S. beef to nations seeking to block imports from Brazil. China has suspended imports of beef from Brazil after Brazil announced an investigation accusing meat inspectors of taking bribes to allow sales of tainted food. The European Union and Chile also curtailed meat imports from Brazil. Brazilian police on Friday named BRF SA and JBS SA, along with dozens of smaller rivals, in a two-year probe into how meat packers allegedly paid off the inspectors and politicians to overlook improper practices, according to Reuters. The companies have denied any wrongdoing and JBS SA claims the investigation focuses on federal inspectors in Brazil, not the company or its employees. While it is too early to assess the export market changes stemming from the investigation, China will need to find a replacement for 31 percent of its beef imports, if the suspension on Brazil products remains in place. The U.S. Department of Agriculture calls China the fastest growing market for beef. Missouri lawmakers have passed a bill that increases fines issued to farmers who illegally apply herbicides. Over the top application of dicamba-based herbicides, an application method not approved for use, cost farmers millions of dollars in damages last year after the herbicide drifted into neighboring fields. Under the legislation, farmers can be fined up to $10,000 for each instance of damage and $25,000 for repeat offenders. If signed by the state’s governor, the bill would go into effect immediately. Missouri investigated more than 90 cases of dicamba drift last year. Drift issues prompted at least two lawsuits and an argument led to the death of an Arkansas farmer who was shot after confronting another farmer in southeast Missouri. A class action lawsuit is open to farmers who experienced damage from illegal dicamba drift in 2016 from 10 soybean and cotton growing states. The lawsuit claims Illegal, off-label, over the top use of a Monsanto dicamba product led to drift damage to crops that were not tolerant to dicamba. The lawsuit contends that Monsanto is responsible for the off-label dicamba use and damage. RaboAgriFinance has announced it will increase its donation to the National FFA organization, serving as a Five Star sponsor of FFA. Rabo AgriFinance has partnered with FFA for the last 12 years to ensure the future of agriculture and agricultural education. Rabo AgriFinance currently supports supervised agricultural experience grants, scholarships, the beef production-entrepreneurship proficiency as well as the Living to Serve platform. FFA’s Five Star sponsorship level includes donations between $100,000 and $250,000. Rabo Agrifinance joins companies at the same sponsorship level such as BASF, Bayer, Cargill, Caterpillar, Chevrolet and Firestone. The highest FFA sponsorship level, Platinum Sponsors, which provide $1 million or more, include CSX, John Deere and Monsanto. 06-27-17 THANKS for the BIRTHDAY Wishes - Much Appreciated!